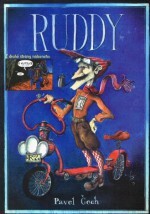 Writer, painter and author of artist’s books and comics for children. 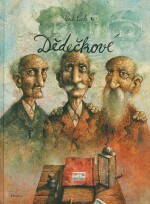 He was awarded the Magnesia Litera in 2013 for Velké dobrodružství Pepíka Střechy (The Great Adventures of Pepík Střecha), two comic-book prizes, Murial and the Golden Ribbon, for the first comics from the series Dobrodružství Rychlé Veverky (The Adventures of the Fast Squirrel). He was born in Brno on 5 November 1968. A really fantastic piece of work. An original, sensitive, almost royal treatment of the established modern literary genre. Pavel Čech is a confident and unmistakable creator of contemporary Czech comics, and I would dare say he will become a master. 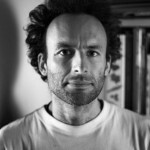 Pavel Čech is a freelancer who trained as a locksmith and then worked for 15 years as a fireman at the Královopolé Engineering Works. While his colleagues were working out during their breaks, he found stimulus from his childhood love of drawing. Within a few years he could “draw” well enough to make a living from freelance illustrating and writing books. In his books he brings children’s dreams to life in the form of Native American Indians, adventure stories, winding streets and overgrown gardens. Inspired by Jules Verne, Karl May and Jaroslav Foglar’s Scout books, he creates kind worlds where not only is adventure important, but also honour and friendship. 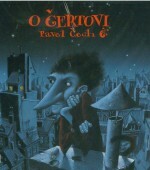 His literary debut was in 2001 with the short story O čertovi (About a Little Devil), where love and a kind word reform a devil who has come to the world to hurt people. 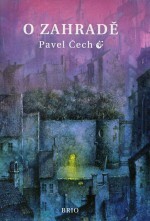 The book’s artwork already reveals Čech’s idea of Brno with the roofs from the old town and partly-imagined streets. 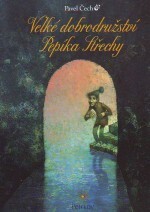 O zahradě and O Mráčkovi (About a Garden and About a Little Cloud) were published in 2005. The first of these was translated into French, and by coincidence the publisher Petr Novotný from Havličkův Brod came across it in a bookshop in France. 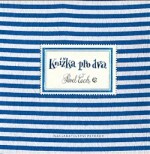 Since then his publishing company, Petrkov, has been publishing and promoting his works, particularly his artist’s books. 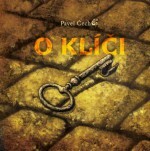 O klíči (About a Key) was published in 2007 and tells the story of an imaginative young boy who finds a key on his way to school and starts to wonder what treasure chest or what door it might open. 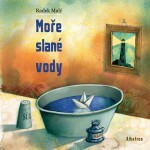 This was followed by the comic Tajemství ostrova za prkennou ohradou (The Mystery of the Island Behind the Wooden Fence, 2009) for which he was awarded the Muriel Prize for the best Czech comic album. 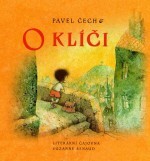 There was later published Dobrodružství pavouka Čendy (The Adventures of Spider Čenda, 2011, then two other follow-ups in 2014 and 2015) and the collection Dědečkové (Grandfathers), which was in honour of all grandfathers and was published on this occasion by Albatros. 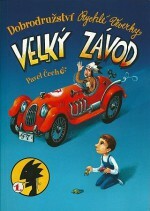 Čech’s creative breakthrough with the general public came with the large comic album Velké dobrodružství Pepíka Střechy (The Great Adventures of Pepík Střecha). 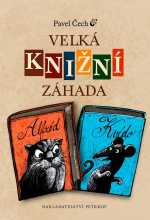 The thin, timid, stammering anti-hero finds Captain Fragoramise’s book and together with his ethereal schoolmate, Elzevíra, who is the only one who wants to share in Pepík’s world, sets out on an adventure. It isn’t clear if he is only dreaming everything, if it is a world of fantasy or magic. In any case, with the help of these great trials in that world, he learns to accept himself and his introverted nature, and discovers that even those who are not part of the crowd can feel strength and determination. Čech was awarded the Magnesia Litera in 2012 for Velké dobrodružství Pepíka Střechy. 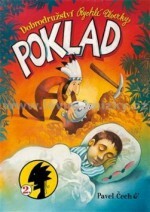 There then followed two comic books about the Native American Indian Rychlá Veverka (The Fast Squirrel, both in 2013) and Velká knižní záhada (The Great Book Mystery), in which the author combined his illustrations with the great names of Czech illustration – and again he reminds us of the popular heroes from Foglar, the drawings of Zdeněk Burian and the ink-drawings in The Three Musketeers. 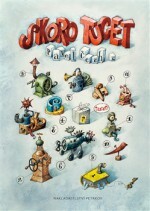 Skorotucet, a collection of eleven illustrated stories, was published in 2015.